An Interview with Startup Dunedin's marketing coordinator, Angus Pauley, about everything from Starting-up to cold showers. 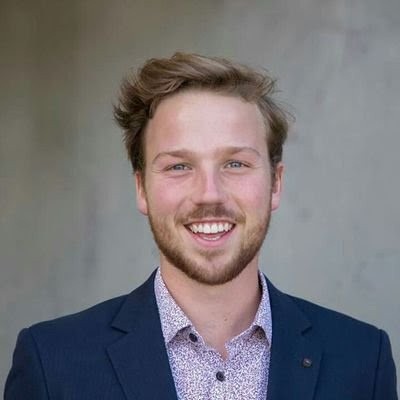 Angus Pauley is the marketing coordinator for Startup Dunedin. He is the youngest resident of the Distiller and will graduate next week with an arts degree majoring in Psychology. This week he sat down and gave us some insight into his life and journey at The Distiller. How did you come across The Distiller and how long have you been a part of the space? I didn't stumble across Dunedin's startup scene until my final year of University. I was lucky enough to be selected for Venture Up and spent most of my 2016/17 summer holiday building a disruptive digital marketing business with four other co-founders. Venture Up was hosted at AUT in Auckland and run by the Wellington-based CreativeHQ. When I came back to Otago I was looking for a co-working space that shared the same vibes as the accelerator and the then named "Startup Space" fit the bill. To be fair, I think the natural SEO (Search Engine Optimisation) of Startup Dunedin helped a fair bit! What was your first visit like? I came in for a fifteen minute chat with Casey to see if it was a good fit. That fifteen minute chat quickly turned into a well-over-an-hour chat. Needless to say we hit it off and I haven't looked back since. How do you start your day when you arrive at the Distiller? I used to be quite strict on using Tim Ferriss style time management as I was trying to juggle business with full-time study and part-time work. This meant starting my day by carefully prioritising my to-do list and aiming to get the top two or three things done before I went to my first lecture of the day. Now that I'm full time with Startup Dunedin I still do the same prioritising but will usually look after a couple of things within the Distiller first. What book(s) have you gifted most to other people? The Subtle Art of Not Giving a F@#$ by Mark Manson. It really cuts through the BS and came to me during an important time in my life. It focuses on integrity, but in a very unorthodox way. It is anti-self-help - very raw and very honest. What makes you feel most relieved after a day's work? It's a cliché but, exercise. Whether I go for a run, play some footy or head to the gym; it always gets rid of tension. I've actually just started playing twilight cricket on a Monday night with some of the lads from work. I've never looked forward to Mondays so much! What purchase of $100 or less has most impacted your life most in the last 12 months? I'll cheat a little bit and say my flight to Auckland to my best friend's 21st. It was a small gathering of family and friends and I was really happy I could be a part of it. If it had to be a physical product then I would say the Honey/Apple Cider Vinegar/Cinnamon I started buying 4 months ago. Even as a psych grad I can't exactly identify the mechanisms this concoction works on but I've slept like a rock ever since I started drinking it. What is something you consider absurd that you love to do? Anyone that has met me at The Distiller will know I'm big on cold showers. I absolutely love them and I can't leave the shower without having it all the way cold for at least a minute or two. If you're sceptical on the benefits I would recommend reading the research papers or at least looking up Wim Hof. Finally, if you could put anything on a billboard that could be seen by thousands of people, what would you choose? "By definition, not everyone can be exceptional. And that's okay. Start anyway." I'm mostly riffing off of the book question with this one. Sometimes it takes moving your attention away from being bigger, faster and stronger, to remember how to enjoy life now - and in a paradoxical way that can often get you to your goals faster. ...can you tell I took some Philosophy papers? If you would like to feature on the Startup Dunedin blog contact us at hello@startupdunedin.nz.